Tom Armstrong comes from a musical family, and has played piano and violin since a young age. He began his piano tuning apprenticeship at age 14, with Reginald Greenbrook in San Jose, California. While studying electrical engineering at San Jose State University, he decided to pursue a professional piano technician career instead. He has been a Registered Technician member of the Piano Technicians Guild since 1978. He has continued in his education by attending factory sponsored training classes, seminars, conventions, and workshops, in addition to reading the Piano Technician’s Journal regularly. 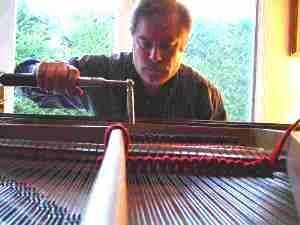 Although pianos have not changed greatly during his career, the techniques in service and understanding the instrument have advanced in many ways. Tom is constantly learning ways to improve his technique and workmanship, to the benefit of his customers. His excellent reputation and integrity are reflected by the trusting relationships with his widely varied clientele in Monterey County. Pam is a vital part of Armstrong Piano Service. She is the friendly voice on the phone, and manages all aspects of scheduling, accounting, and billing. She is a (young) retired CPA. She serves every customer with care and understanding. 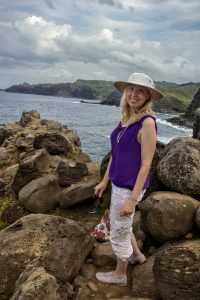 In addition to her work in the office, she also teaches a number of cello students, plays in an orchestra and string quartet, and serves as a literacy tutor. Her other interests include photography and hiking.